This February, join student journalists from across the country to tell stories about young people and their right to free speech. 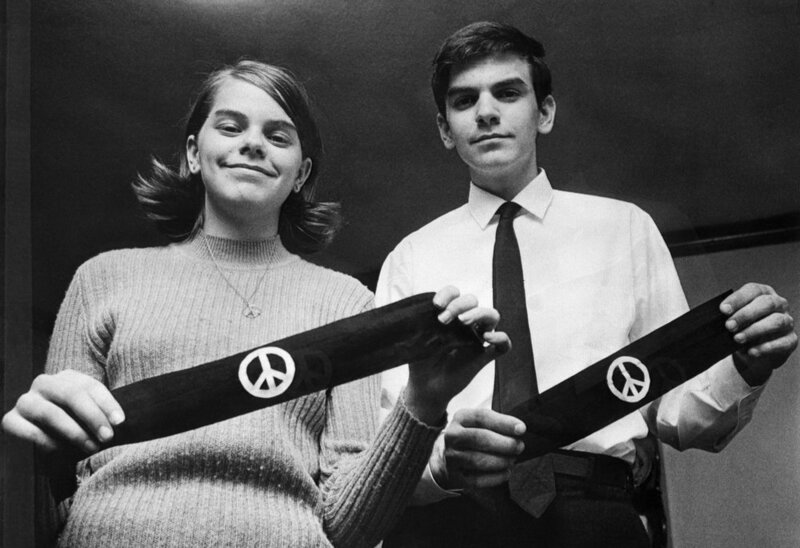 In 1965, Iowa teenagers Mary Beth Tinker, her brother John, and their friend Christopher Eckhardt staged a peaceful protest of the Vietnam War by wearing black armbands to their public schools. School officials announced that students who wore armbands had to remove them or face suspension. The Tinker siblings and Eckhardt refused to remove their armbands. The district suspended them until their protest ended. Represented by the ACLU, the students and their families filed suit against the school district, claiming that the school had violated the students’ free speech rights. In 1969, the Supreme Court heard the case, Tinker v. Des Moines Independent Community School District 393 U.S. 503 (1969). The Court ruled 7-2 that students do not "shed their constitutional rights to freedom of speech or expression at the schoolhouse gate." The Tinker v. Des Moines ruling set the precedent that student free speech is protected by The First Amendment. The Schoolhouse Gate Project will be the only curated collection of its kind, showcasing student-led journalism about youth free speech issues. The Schoolhouse Gate Project is a youth free speech initiative led by award-winning student journalists from Marjory Stoneman Douglas High School in Parkland, Florida. On the Feb. 14, 2018, the tragedy that killed 17 of their fellow students and teachers thrust them into the role of being both survivors and journalists. MSD journalism advisors, Melissa Falkowski and Sarah Lerner, educate their students about the importance of a free press, empowering them to seek truth and use their voices as survivors and journalists. After the shooting, student journalists at MSD knew it was their story to tell – and their school, teachers and administrators, supported them. Not all students are so lucky. In too many cases at schools across the country, students are prevented from covering important issues. For the Schoolhouse Gate Project, the Parkland student journalists will curate submissions from fellow student journalists around the country about how youth free speech is being celebrated, challenged, and used in their local communities. Excerpt from work-in-progress documentary by Maribeth Romslo about the student journalists from Marjory Stoneman Douglas High School in Parkland, Florida. LIMITED EDITION #TINKERVERSARY SHIRTS FROM RAYGUN! Available for the month of February from our friends at RAYGUN. Proceeds from this shirt benefit Tinker Tour USA, a Special Project by the Student Press Law Center. Calling student journalists and advisors to contribute special coverage about student free speech. Interested in getting involved? Get in touch here. Tell us a story about how student free speech is being challenged, celebrated, or utilized in your community. Please indicate your area of interest for the Tinker anniversary student free speech special coverage. Thank you for your interest in The Schoolhouse Gate Project. We will be in touch soon with more details about how to contribute and collaborate for this historic project.